Some of you have been tracking my husband, Neal, and I's progress these past few weeks on the Nutrisystem program. For those of you who haven't been, you can catch up by reading our past weekly Nutrisystem progress posts. We just finished up week 3. Another week of delicious food courtesy of Nutrisystem. From the breakfasts to the dinners and all the snacks in-between, I can honestly say that everything has been high-quality and very enjoyable. The Margherita Pizza has been my favorite dinner by far this week. It was tasty and satisfying. I plan to make every Friday a “Pizza Friday” from now on by enjoying one of Nutrisystem's pizzas each Friday. In addition to their Margherita Pizza, Nutrisystem also offers Italian Sausage & Turkey Pepperoni Pizza, Italian Herb Flatbread Pizza, Thick Crust Pizza as well as Chicken & Bacon Ranch Pizza. I look forward to trying all their pizza varieties. Another favorite this week was the Nutrisystem Chocolate Cake dessert. This chocolate cake was pretty darn yummy, even without any icing! I decided to cut my cake up into slices so that I would eat it slower. This way I was able to make my piece of cake last as long as possible. 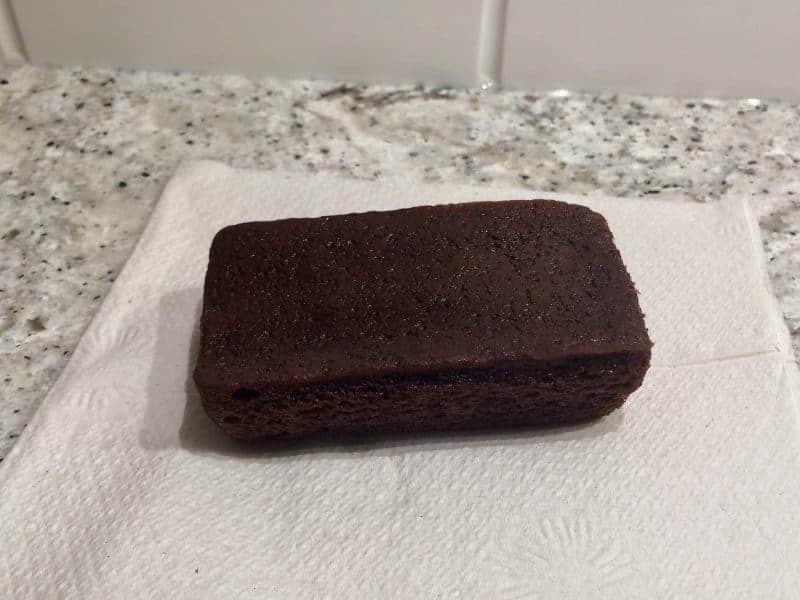 My husband, on the other hand, picked it up and ate it like a brownie. He was done with his piece of Chocolate Cake before I even got to my second slice. This just goes to show how cutting up our food really helps to make it last longer. I believe it even gives me the perception of eating more. 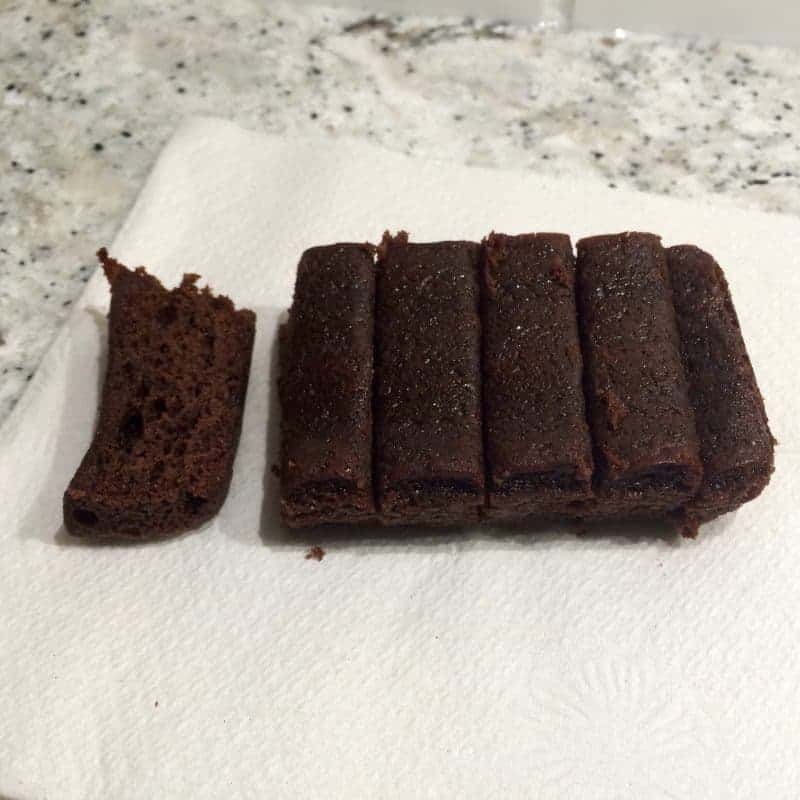 I am forced to pick up each separate piece instead of picking it up the whole slice and eating it in three or four bites without putting it down. Now, before we look at this weeks weigh-in and results, I have to be honest with you. Neal and I were away on vacation for most of this past week. We tried our best to set ourselves up for Nutrisystem success while we were away. I made sure to save enough self stable meals and snacks for us when we went away. I packed up our Nutrisystem meals and snacks to take away with us. We even stopped at a grocery store to pick up our fruits & veggies when we made it to our destination. But dieting while on vacation is hard! For the first few days of vacation we were great and we stuck to the plan. But the last 2 days of vacation our willpower just couldn't stand up to the temptation. We were away with others and eating out often. Hubby caved first and had a “we are away on vacation and anything goes” attitude. I held out as long as I could and even tried to make the best choices possible at restaurants like salads, turkey sandwiches on wheat bread, and nonfat frozen yogurt for dessert. But the serving sizes were too large for sure, and in the end we both ended up gaining weight this week. It is amazing how quickly weight can be put back on. Lesson learned. Knowing that the most difficult week is behind us, I am looking forward to the future. Unlike previous times that I “cheated” on diet plans, this time I am not going to let it get me down. We are back from vacation and now I am even more motivated to stick with the plan and lose this weight! Motivation is important when dieting, and I am working on coming up with a motivation plan for Neal and I. Something along the lines of a reward if we reach our 12 week weight loss goals. Honestly, I was thinking of the reward being booking another vacation for 2017. The Caribbean is calling my name! If you guys and gals have any ideas on something fun to use as motivation for Neal and I please let me know in the comments below! I would love to hear your ideas! Be on the lookout for our next post to find out how we do on week 4 of the program! 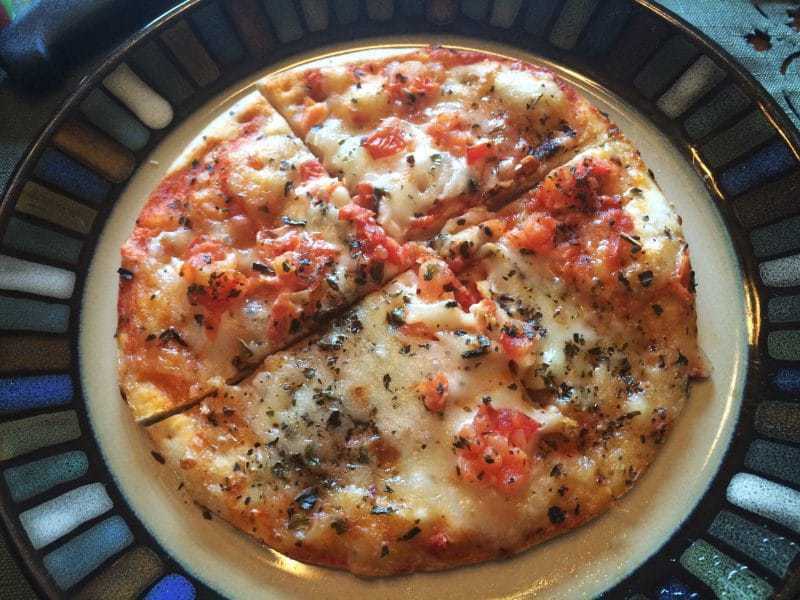 This Nutrisystem Margherita Pizza really does look tasty and satisfying. I would enjoy it for my lunch. You guys are doing great keep it up. I’ve never been on a diet, but that food looks good. I am so proud of your progress. You are doing great. I am not a fan of the food because I have done Nutrisystem before. But if you like it, congrats! Short of packing my own food, I find it impossible to find much food that is gluten-free, dairy-free, and good for me. If I am out for a few days on the road I often pack my own food. But if I travel with the family for a week or more, even the hotels make it impossible to find food that will not kill me. Vacations can truly be hard on any kind of dieting. Or even healthy eating. The Nutrisystem Chocolate Cake dessert looks delicious!!! When you are on vacation you definitely need to treat yourself but in moderation! I always have a hard time staying on my diet when we are on vacation. This will help a lot. Hard to believe that diet food looks so good. This pizza and cake sure look good! I don’t have any good ideas, I struggle, too. You did pretty good for being on vacation, even staying on course a couple of days helped keep it from being worse! I know this is an old post, but that pizza looks so good. Also it seems like a lot of restaurants these days has some kind of weight loss food on their menus. Good luck to you guys. Just focus on the positive – you were able to stick to it except for the last two days! Then you get right back on track when you get home. I had to laugh when I read how your husband ate his chocolate cake like a brownie. My husband is like that too! It probably would have been gone in one bite!